1980s, 1985, c64, petscii, scene. Menu for a collection of cracking tools for C64, 1985. Kattens reviderade cracking disk. Download. 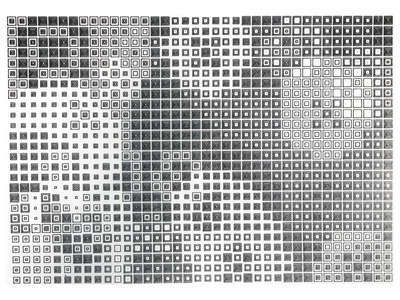 1980s, 1985, mosaic, plotter, print. Plotter drawing by Günther Schulz, 1985, via..